When you’re planning to vacation in Ireland with kids, it can be a bit daunting to decide what to see and where to go. When I answer questions about attractions and activities for families, I recommend staying in one area and not trying to “see it all”. It’s incredibly easy to think of Ireland as a place for “seasoned” tourists to take bus tours or for young singles on self-directed “pub tours”. But the Ireland I know is welcoming for the entire family, filled with a centuries old magic just waiting to be discovered. For nearly a decade I have been traveling with my children. My eldest daughter’s first flight was to Ireland. As we have crossed the country in the years since her first trip, we’ve discovered many amazing places – and have many more on our “future visits” list. 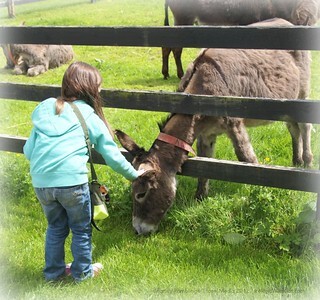 Visit YTravelBlog to see my recommendations for 10 places to take the family in Ireland. Do you need more Ireland travel inspiration? Discover Ireland, county by county, with my clickable map at Ireland Family Vacations. Poke around Ireland, virtually, at the Ireland Family Vacations Pinterest Board.